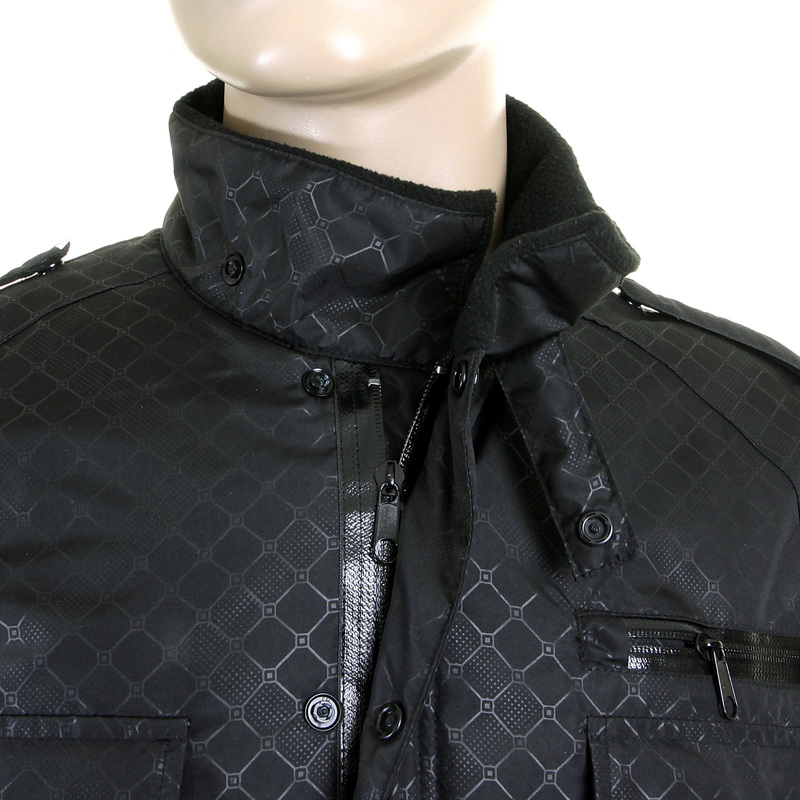 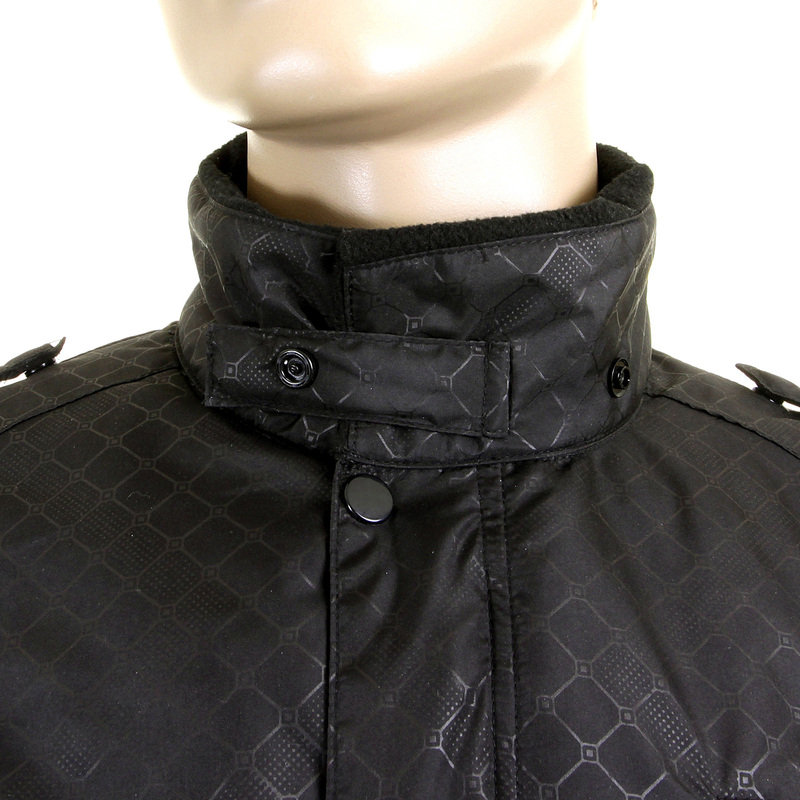 Get through the chilly winter season in style with this amazing RMC Martin Ksohoh fully functional field jacket. 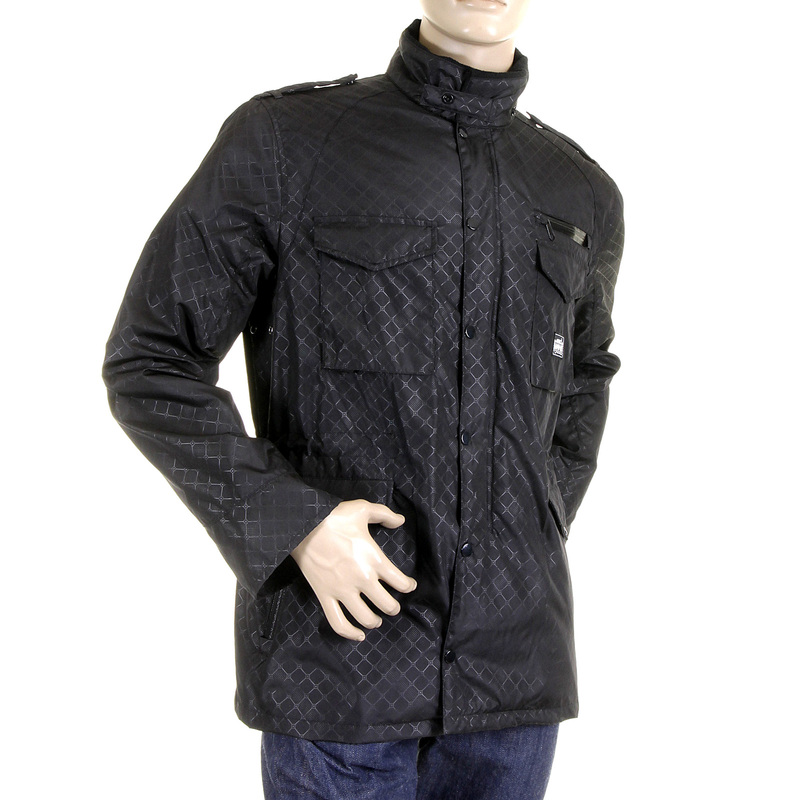 The black jacket has a self-pattern which adds an elegant touch to the rugged jacket. 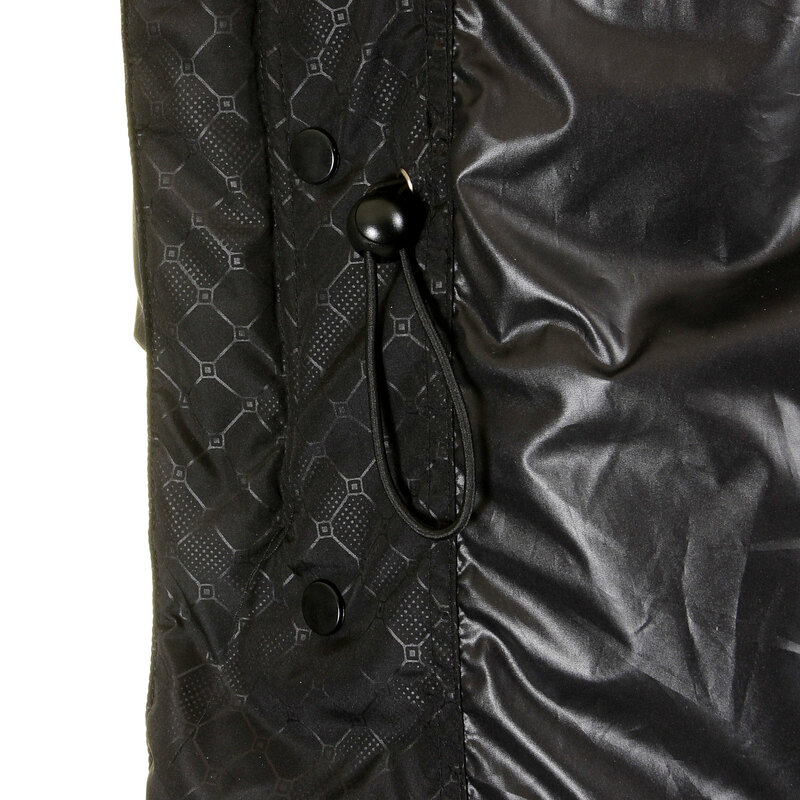 A toggle and pull cord at the waist lets you adjust the fit as your desire. 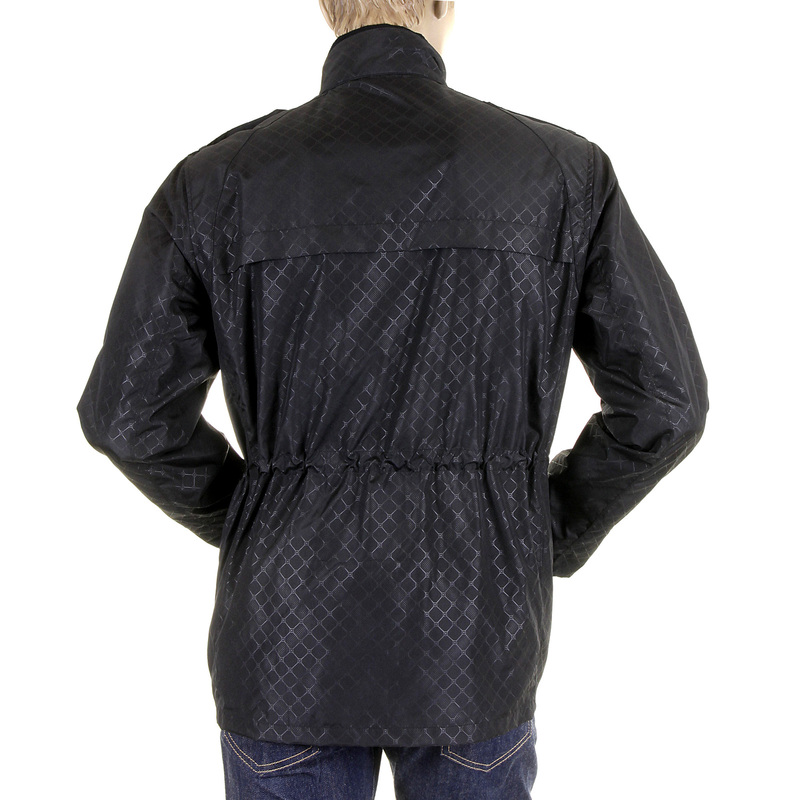 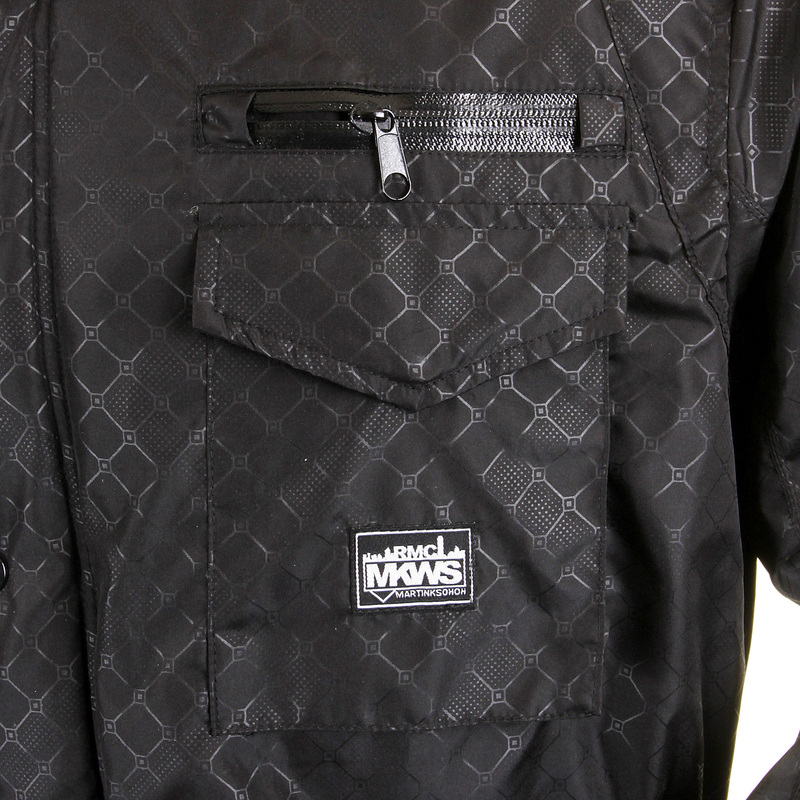 The microporous membrane laminated to performance fabric makes this jacket totally windproof and waterproof. 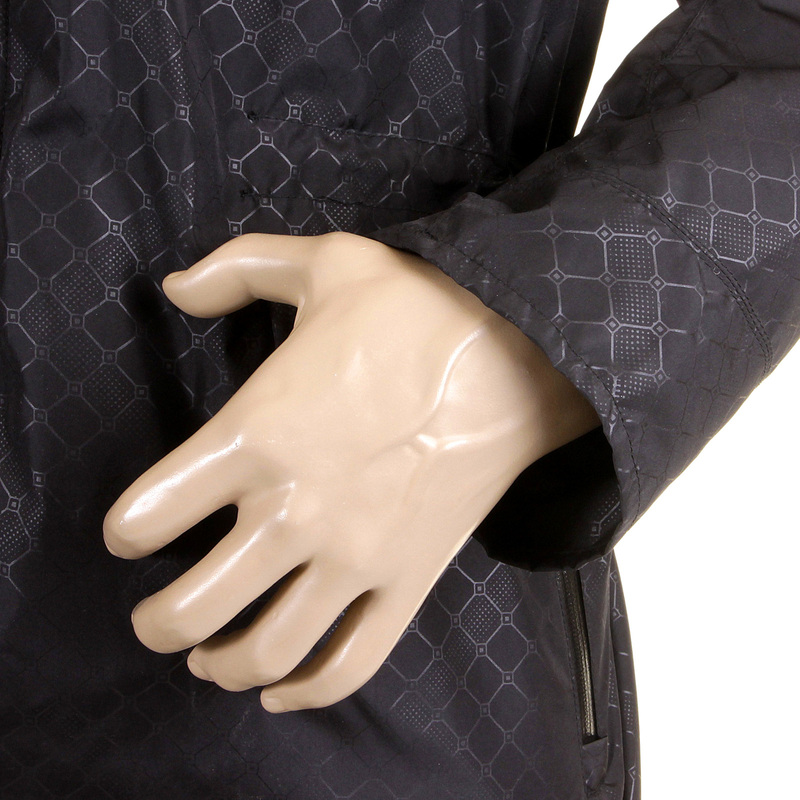 The breathable microscopic pores in the fabric membrane allows the perspiration vapours to escape thereby you will warm yet dry throughout the day. 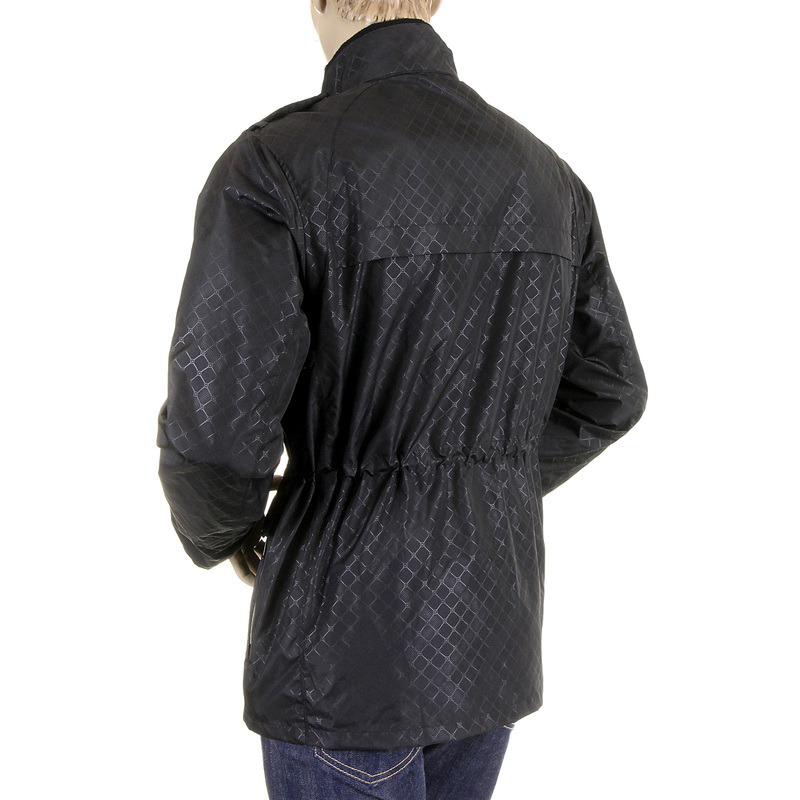 The jacket has four flap pockets on the chest, two below the waist. 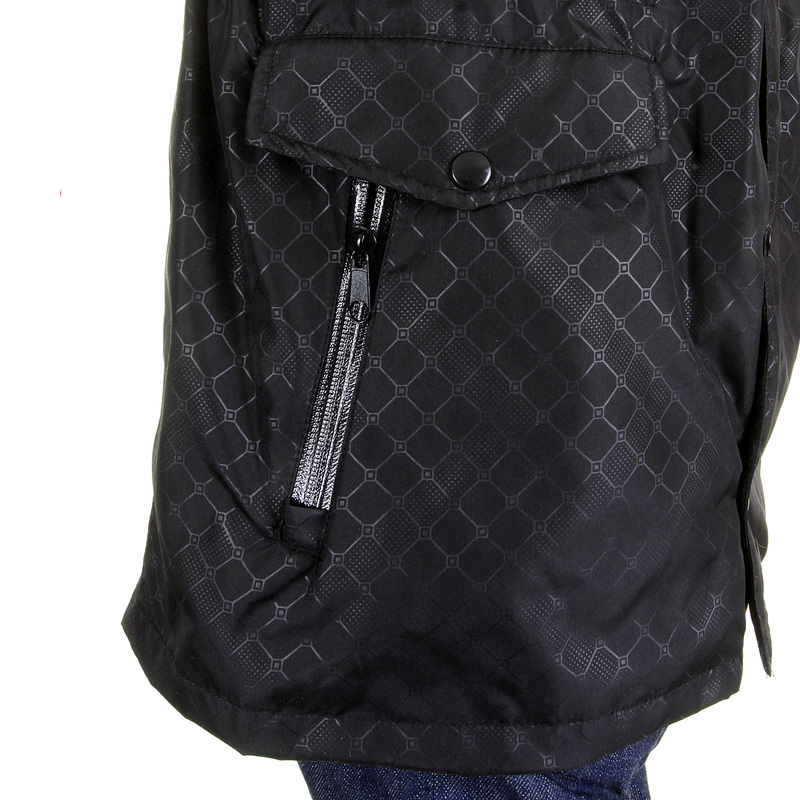 The complete zip closure and high collar with press stud tab closure all protect you from the chilly cold weather. 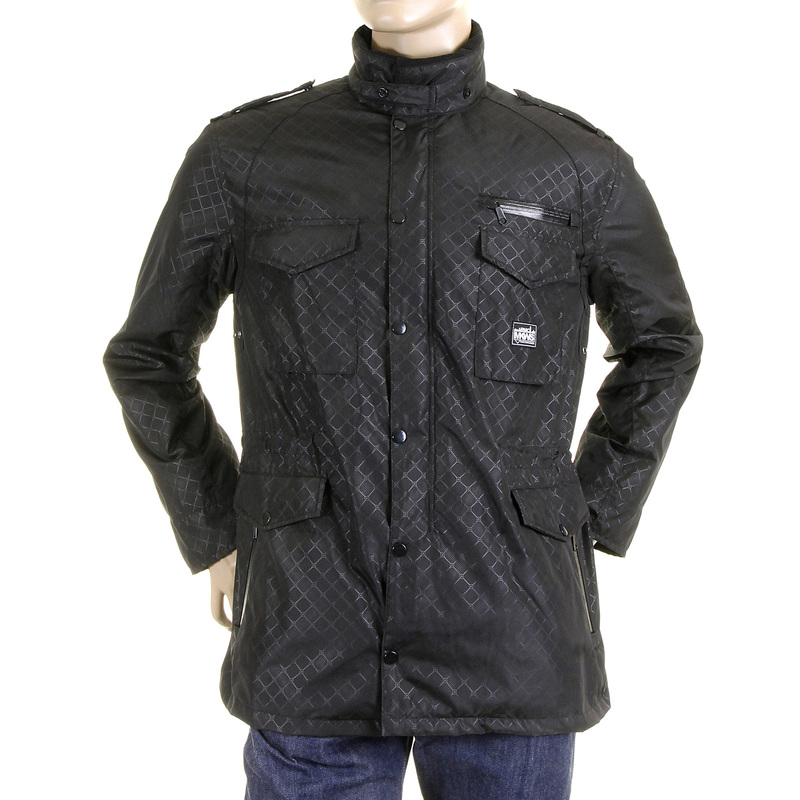 A great jacket made just for you!